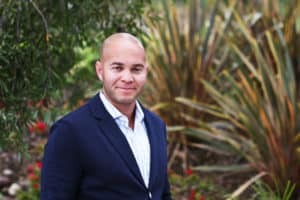 Our own Andre Childers was recently featured in SoCal Real Estate’s Roundtable which shares insights from industry leaders. When asked “What are the top engineering concerns commercial builders deal with today,” his response was typical of Andre – detailed, knowledgeable, concise and on point. Andre noted the increased focus on environmental sensitivity and the growing impact that it has on project planning, engineering, construction, logistics, construction schedules and costs. Because these changes are constant, the construction industry must always be agile. He outlined Pacific Building Group’s success in getting ahead of situations when environmental considerations have not been fully accounted for by asking the right questions of the right people in a proactive manner. Andre also emphasized the need for owner-developers and design and construction teams to collaborate early in the planning process to help eliminate the element of surprise, so projects stay on course while keeping the environment safe. Read the complete article on page 8, here. ©2019 Pacific Building Group. Web Design by Jacob Tyler.